For the longest time, gaming was the rare pop cultural medium that always seemed to move forward. Even when mining nostalgic franchises, technological advances maintained the art form's forward momentum. The transition toward downloadable games changed all that, and reminded people why they liked those old games in the first place, but while platformers, side-scrollers and point-and-click games all enjoyed various retro revivals, JRPGs sat on the sidelines. The genre dominated role-playing games worldwide for years before action-hungry Western gamers lost their patience with strategic, turn-based combat. 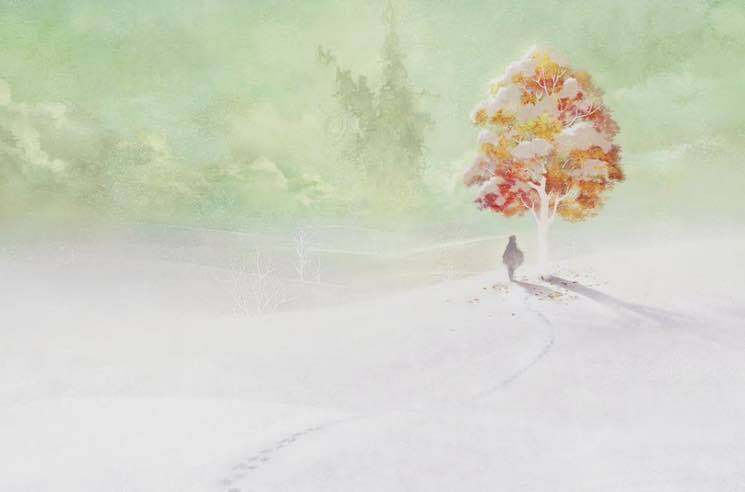 But while real-time combat may be considerably more gratifying, there was a real charm, depth and sophistication to JRPGs that was lost, which is why the melancholy epic I Am Setsuna, the debut offering from the perfectly named Tokyo RPG Factory, is such a welcome offering. Marketed as an "authentic JRPG style of yesteryear" and "a powerfully nostalgic experience," the goal was to recapture the magic of publisher Square's pre-Enix '90s glory days when Final Fantasy inspired a generation. The game is set on a Narnia-like island where it's always winter. Worse than that, demons ravage the land every decade unless a maiden is sacrificed. You play a mercenary initially tasked with assassinating said maiden, but instead you become her protector, at least until you can get her safely to the site for her ritualistic slaughter. In other words, rather than rescue this damsel, you must ensure her demise to save others for the greater good. So yeah, it's a dark story and remains so throughout, and it's amplified by an emotive, heartstring-plinking piano score. The combat uses the Active Time Battle system borrowed straight from Square's archives — Chrono Trigger was a particular favourite of the developer team — and while still turn-based, there is real-time pressure that forces one to make decisions on the fly rather than play it like chess. And, of course, the characters and weapons can be levelled up to further customize the combat. The top-down art direction is impressive albeit repetitive due to the ever-winter thing, and the game design is true to its old school inspiration with a world map marked by quest-filled towns and danger-filled dungeons as you progress through the rich, sombre storyline.